The idea for this project was create a simple level over a short period of time. The outcome was the Office project which took around 10 hours in total to complete. The level demonstrates fast iterative design using the unreal engine. 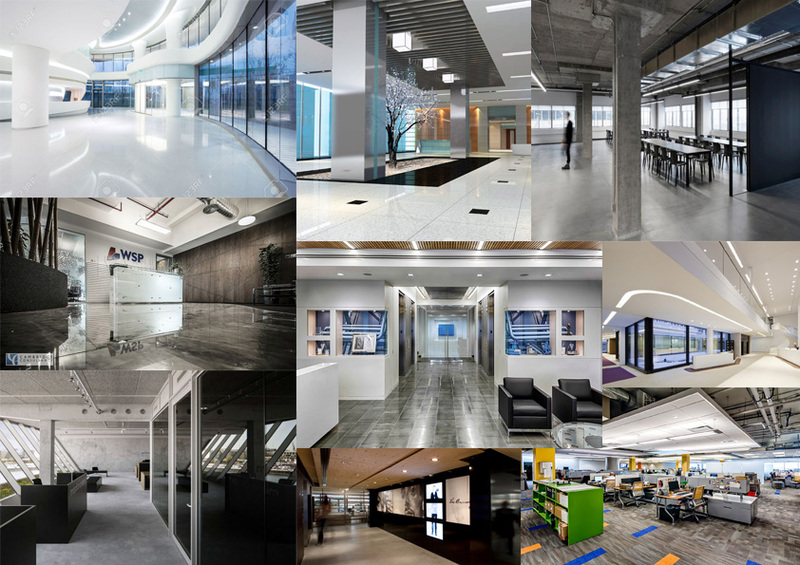 The first step was to create a collage of images which highlighted the style of the level and what a modern office looks like. It helped me grasp size and what could be used as a playable space. It also helps understand the art style that I am aiming for with this particular level. For the next step I created paper designs and a block out in engine. This process allows for quick iterative design and prototyping. It also allows for design to ensure that the playable space is fun and it plays in the manor expected.